What Is Your Go-To Bargain Bubbly? Sometimes Champagne can come across as a somewhat formal beverage. Traditionally it is a drink to be enjoyed when celebrating a major milestone such as an anniversary, wedding or perhaps even a life achievement. Then there is the issue of the price. Most Champagne’s start out in the $30-40, easily putting it out of range as a more casual everyday option for most consumers. The French wine-making region of Champagne is small in comparison to other wine growing regions . It’s sought after real estate and wine-making doesn’t come cheap. Considering the cost of entry, I can understand why consumers might not be drinking Champagne often. But how about less-expensive alternative bubblies? 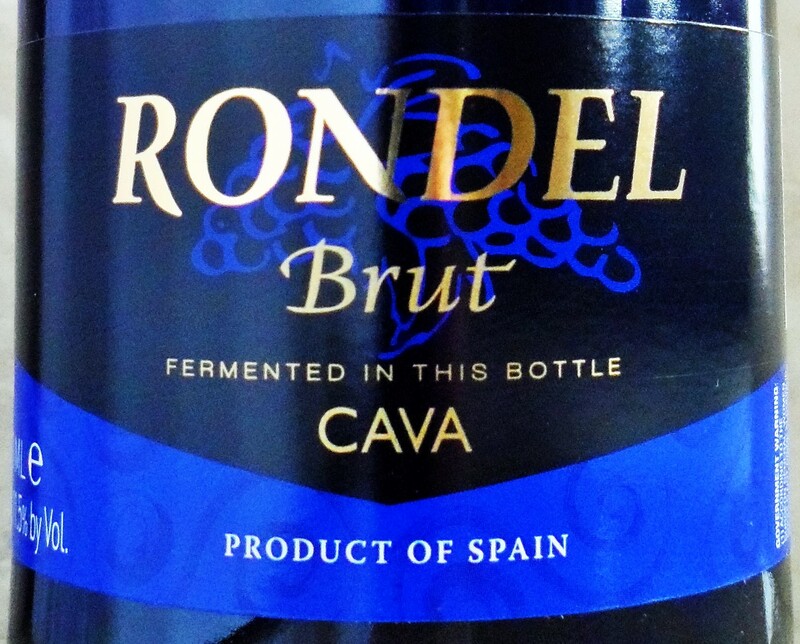 The Rondel Brut Cava NV retails for under $10 and is easy to find at retailers nationwide. This entry was posted in Between $5 and $9.99 | Reviewed, Sparkling Wines, Under $10, Under $100, Under $15, Under $20, Under $30, Under $50, Under $75 and tagged bargain bubbly, Best Cava, cava. rondel cava. rondel cava brut, champagne, champagne alternative, cheap champagne, Cheap Wine, Fermented Fruit, french wine, prosecco, rondel, Rondel Brut Cava Review, Rondel Cava Review, Rondel Review, spanish cava, Spanish Wine, Top Sparkling Wine under 10, Top Sparkling Wines under 10 on March 6, 2013 by The Fermented Fruit.